2. 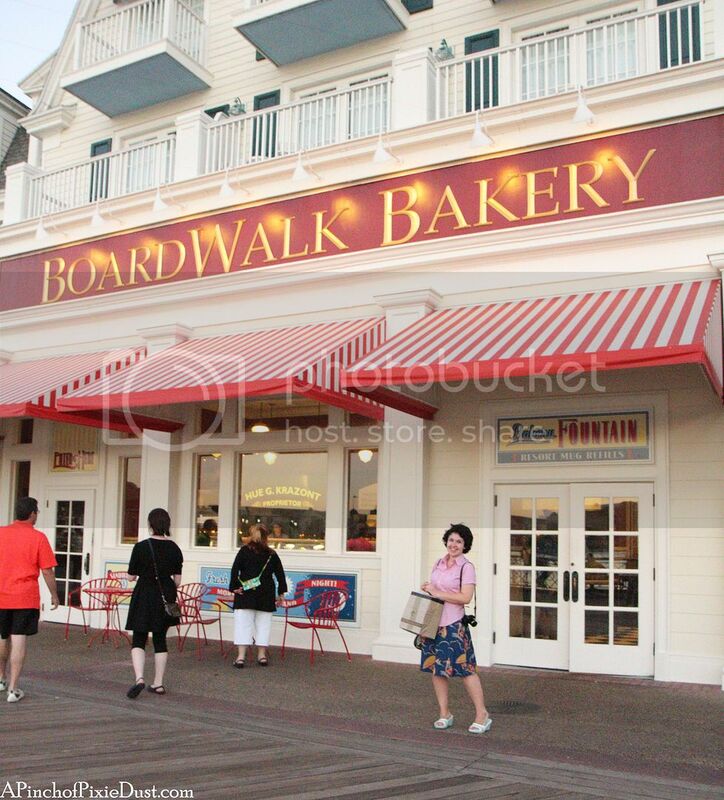 A Stop at the Boardwalk Bakery! 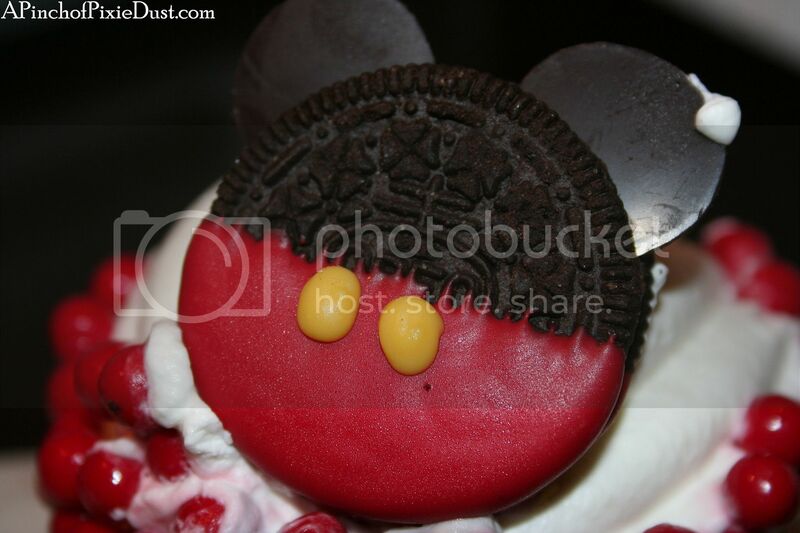 ...and while they've got the same delicious flavors, many of the treats have recently been given a new look! 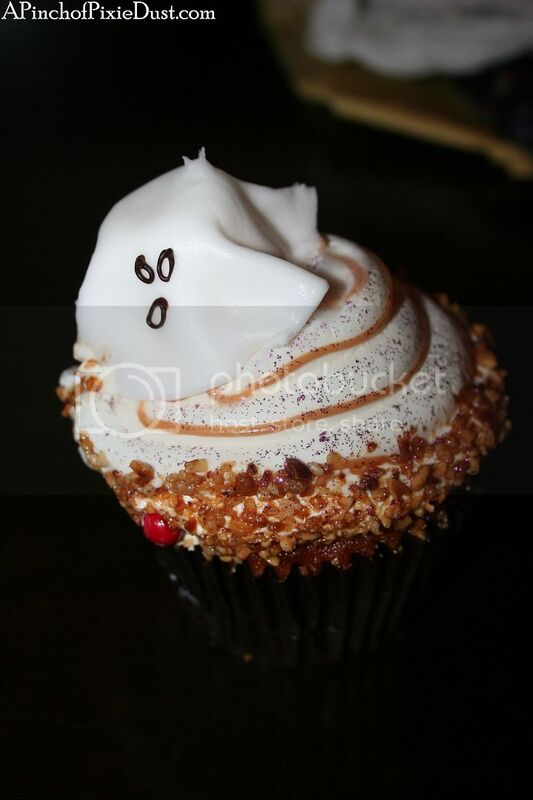 You may recall this ghostly apple cupcake from the Halloween Disney Cupcakes post. 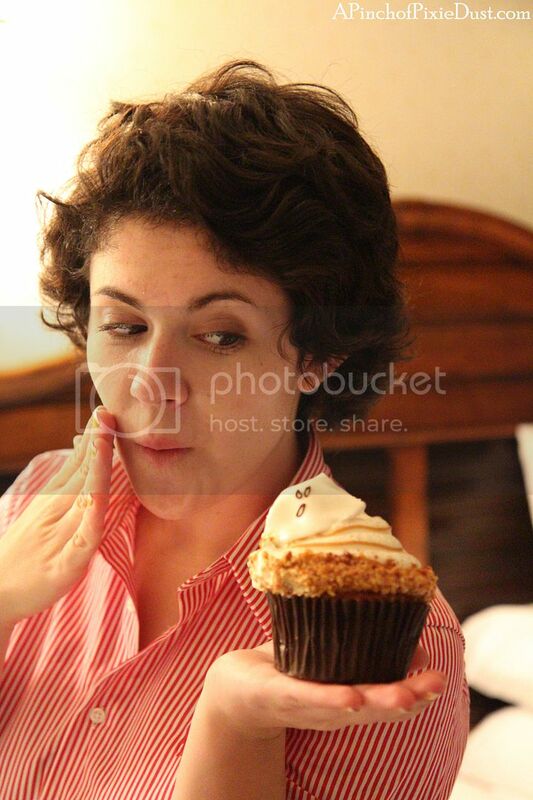 These days the seasonal cupcake at the Boardwalk Bakery seems to be a Thanksgiving-inspired pumpkin cupcake. 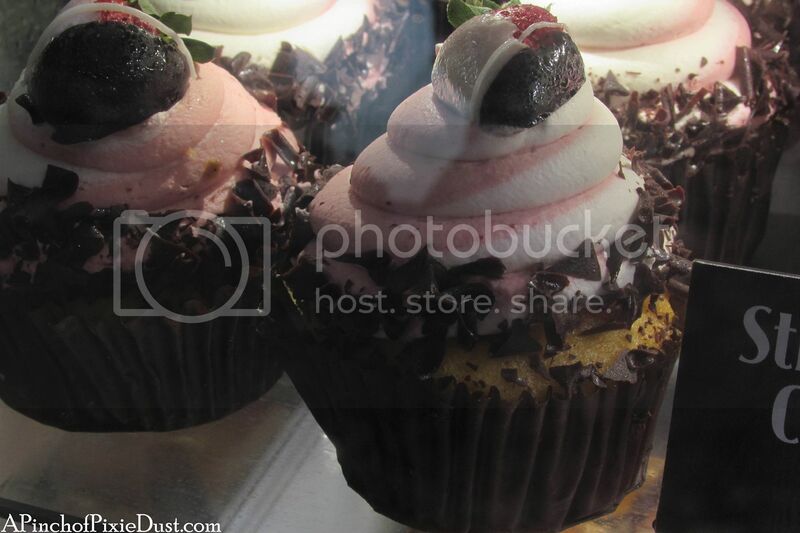 I wonder if they'll bring the peppermint cupcake back for the holidays...yum! 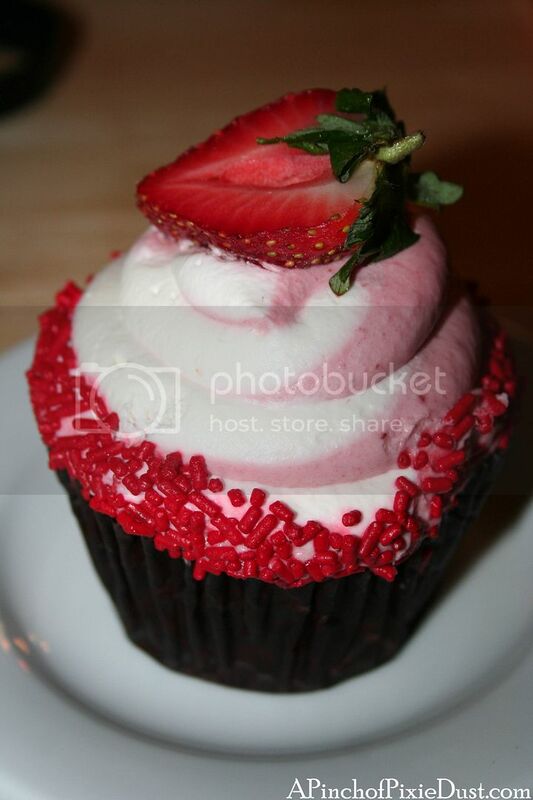 There are certain cupcakes you can pretty much count on year round...and one of them is the strawberry cupcake! 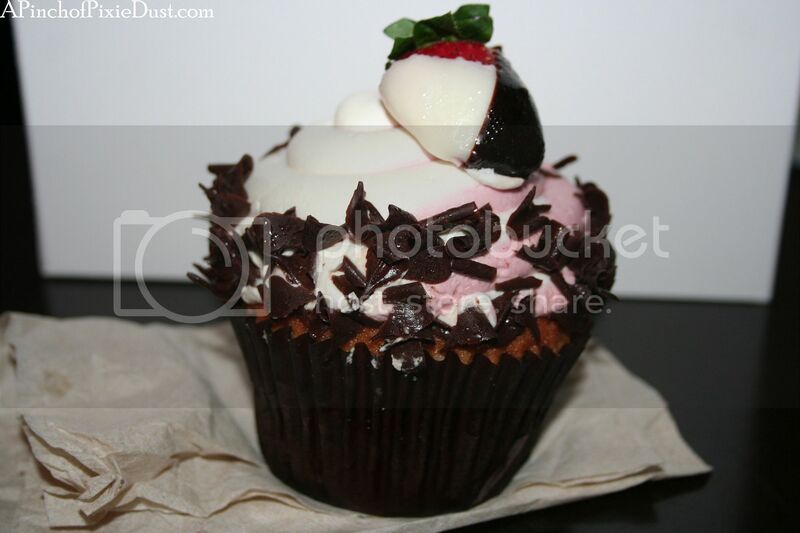 It is a truth universally acknowledged that everything tastes better with chocolate, so I was very excited that the strawberry cupcake's makeover included some lovely chocolate shavings and an elegant white and dark chocolate covered strawberry half. 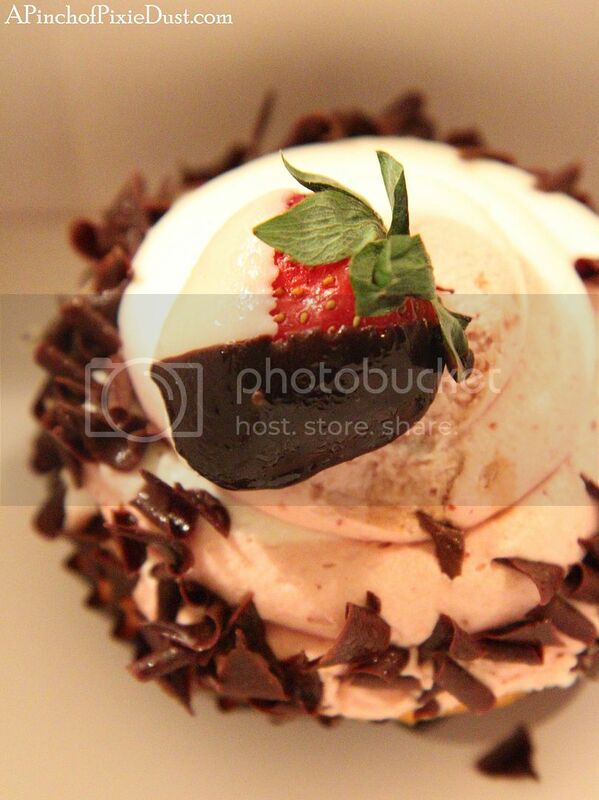 The icing is still vanilla-strawberry swirl with vanilla cake and a strawberry filling. 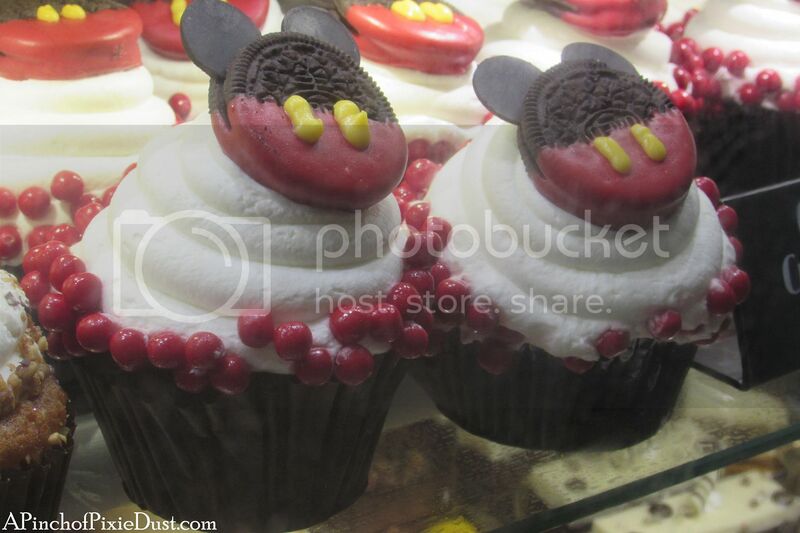 The perennial favorite, the Oreo Bon Bon Mickey Mouse Cupcake also has a brand new look! The delicious red crunchy bits (I think that ought to be the technical term for them, don't you?) are...well...crunchy, red and delicious! 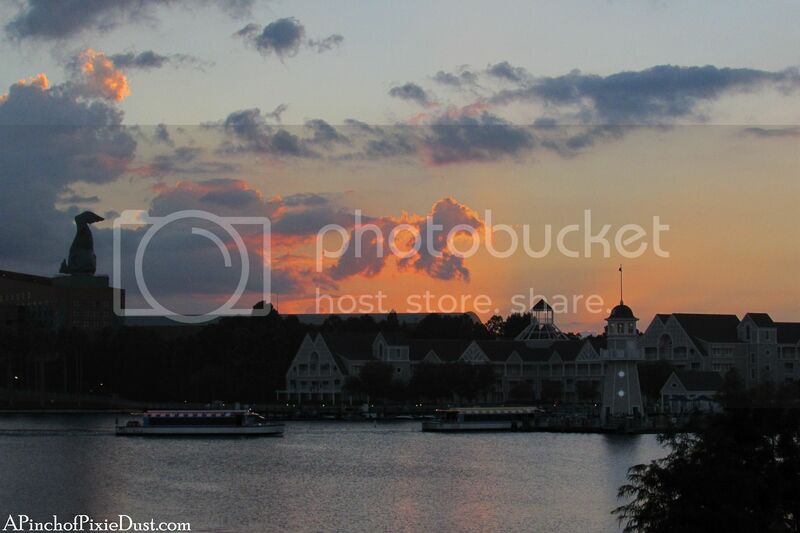 They're the perfect contrast to the Boardwalk Bakery's light-as-air whipped cream icing. 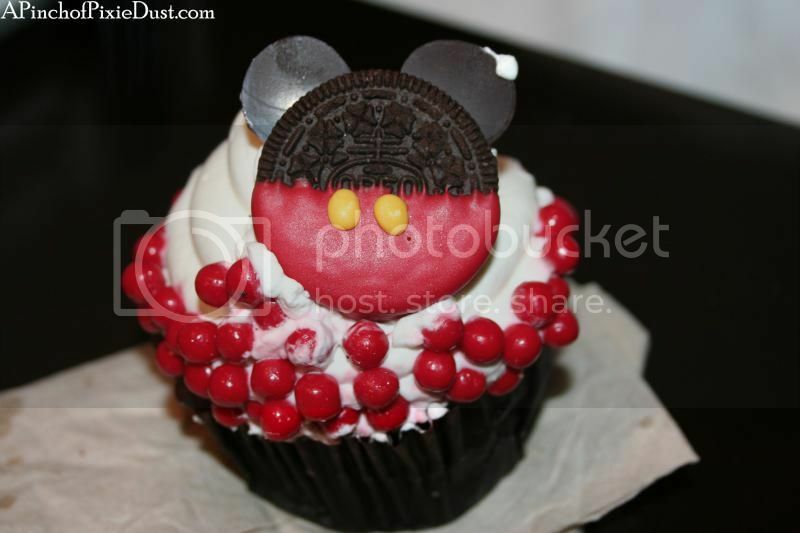 There used to be two oreos atop this cupcake; now there's only one, but it is dipped in red chocolate and dressed as Mickey Mouse! 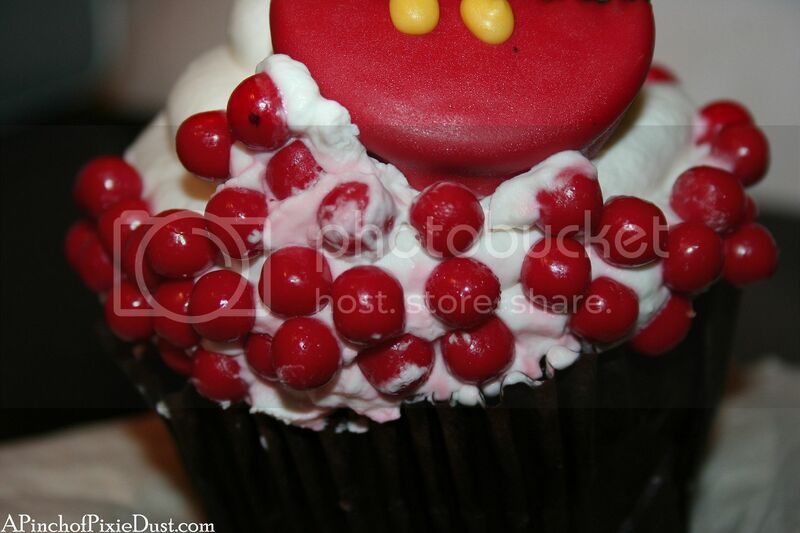 What do you think of the new cupcake designs?